Vol.10 Kitchen appliances is a great collection of high quality 3d models for your interior scenes. 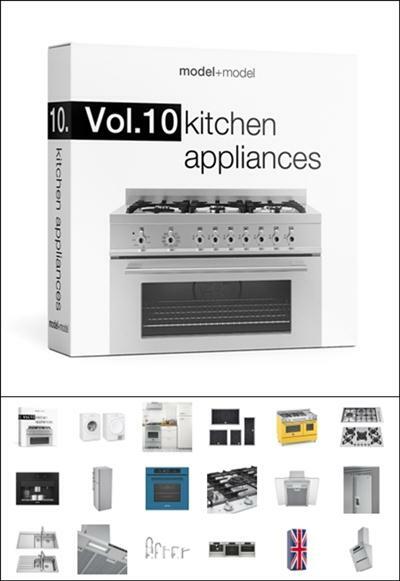 The volume contains 89 3d models of kitchen appliances arranged in 24 sets. All models are made with attention to details. They have reasonable amount of polygons and accurate grid. The models are textured and are ready to use. To view all models and get additional information, please download a PDF catalogue below. You can also download a free sample file from the volume. The primary goal of any kitchen appliances store is boosting sales, gaining recognition and widening quantity of clients. 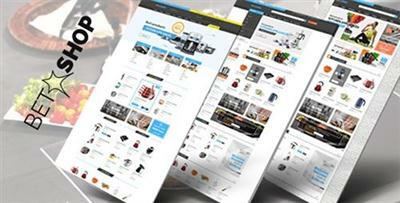 Vina BetaShop - Kitchen Appliances VirtueMart Template is a great choice for all those things. It has 6 Predefined Home Layouts and 4 Preset Color for each layout that gives you full control of the customization of your website. It's integrated with drag and drop page builder (SP Page Builder Pro) to help you build unlimited page layout for your website. This template is also compatible with VirtueMart 3.0.16, Joomla 3.6 and Helix 3 Framework, which has the ability to convert your site to a profitable virtual store.